You have a sink full of dishes to wash, three loads of laundry to do, seventeen bills to pay, thirty-six e-mails to answer, a big stack of novels on the nightstand you’d love to read, and zero minutes of free time. You can’t add more hours to the day, but Laura Stack, The Productivity Pro®, will help you make the most of the time you have and get things done. The Productivity Pro® helps you determine what you have under control and where you need to improve. Are you good at managing your bills but can’t find time to exercise? Do you get your kids to all their activities but end up constantly behind on laundry? 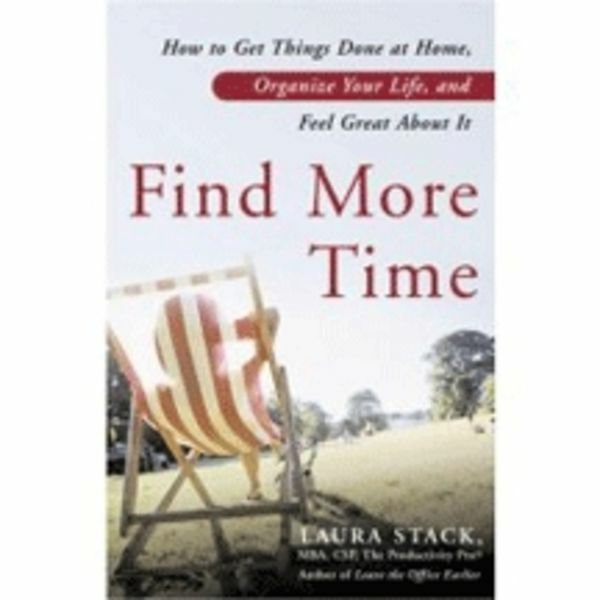 Laura Stack shows you how to improve every area of your life. 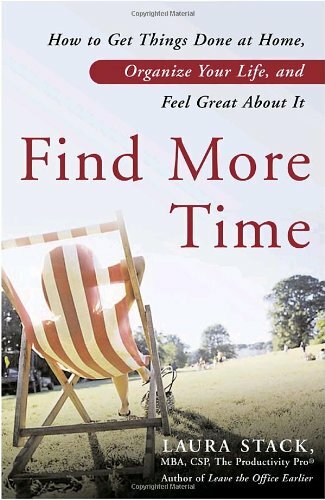 Whether you need help on just a few things or feel like your life is totally out of control, Find More Time will help you organize your space, time, and information to reduce your stress and create and sustain a productive home environment, so you’ll have more time to enjoy your life.